So tonight could prove interesting as I actually have not been able to find many recipes, unless I am looking in the wrong place on the web? 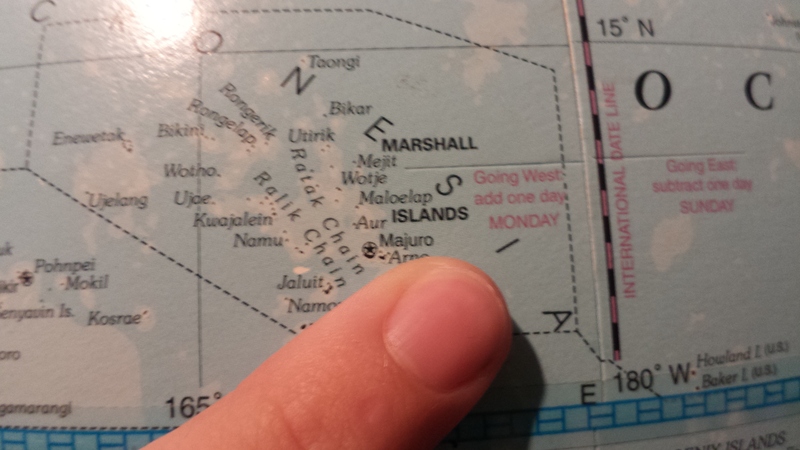 Recipes from the Marshall Islands don’t seem to be well published…but my research would not stop until I found something to cook for our dinner… and eventually I did – but more of that shortly.. If anything doing this blog has helped me learn more about different parts of the world, their cultures, their traditions and the food they produce and cook. Its great being able to share with with Rory, who is keen to learn as much as he can, and also friends and other people about what you have learned and sometimes nuggets of information can be useful…..
As most of the islands were volcanic, which means they are extremely fertile so most things grow well…However,there are very few animals or plants indigenous to these islands. Coconut, however, is the main food for people, past and present, it is used for its milk and its delicious flesh. I love coconut and could eat it everyday..The early settlers brought new plants, animals and plenty of fish and seafood was found in the water……There are many influences of food on the Marshall islands ranging from European to Japanese, taking in a few other places in-between. I have experienced some amazing food! Yet when I think about the most luxurious and exquisite meals I have had, visions of simple food made from a few natural ingredients are what most excite me.